An “internet of energy” will allow fridges, washers and dishwashers to help balance energy demand. Some commentators say the UK needs more gas-fired power to prevent blackouts. Ms Shaw agreed that more investment in gas-fired power was needed, but argued that between 30% and 50% of fluctuations on the electricity grid could be smoothed by households and businesses adjusting their demand at peak times. “We are at a moment of real change in the energy industry. From an historic perspective we created energy in big generating organisations that sent power to houses and their businesses. Now we are producing energy in those places – mostly with solar power,” she told BBC News. London-listed National Grid runs electricity and gas networks in the UK and the northeastern United States. More and more people and companies were adjusting their energy consumption to use more when power was at its cheapest, Ms Shaw said. “All of that is a real revolution … a smart energy revolution that’s changing the way we think about energy across the country,” she said. The move toward flexible energy use is supported by the National Infrastructure Commission. And the advances in energy software are described by the World Energy Council as the biggest change in 21st Century energy – along with solar power. Already some firms benefit from using extra power when it is cheaper off-peak. 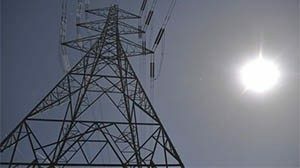 That trend is spreading to households: a firm in Cornwall is offering a “sunshine tariff” that aims to persuade households to use cheap solar power when the sun is out, for example. Energy experts say that in future consumers will be able to ask for their appliances to be connected online to the grid. A signal could then turn on, say, a washing machine, when there was plentiful energy from wind power, or turn off a freezer for a few minutes to smooth out a spike in demand at teatime. Prof Phil Taylor, professor of energy systems at Newcastle University, said: “People are used to the idea that they pay more for using the trains at peak time, or they queue more if they use the roads at rush hour. The challenge for National Grid is to attract more companies to adopt what is known as “demand-side response”, or DSR. Some firms are nervous, others have not heard of it – and business models are changing at breakneck speed. Marriott Hotels has a contract that temporarily turns off its water-chilled air conditioning system at times of peak demand. The water temperature drops so slightly that guests do not notice the difference. Japanese electronics giant Sharp is devising controls and software to allow solar storage batteries in homes to sell energy back to the grid when the demand (and price) are high. The firm says it expects the system to pay its way without subsidy by 2018. Ms Shaw acknowledged that some were anxious about the lights going out as the smart energy revolution progressed. In response, the GMB union called National Grid “naively complacent”. Justin Bowden, its national secretary, said: “Avoiding winter blackouts with a ‘smart energy’ revolution is fanciful nonsense. The smart grid is years away. But the CBI’s head of infrastructure, Michelle Hubert, said: “Over the next decade, the UK’s energy system will see a profound shift towards a more flexible and dynamic system. Consumers – both businesses and households – will become much more engaged in how they use, manage, and even produce energy. Ms Shaw agrees with the need for new gas power, but is wary of committing to new power stations while technology is producing unexpected improvements at a sharp pace. The issue is central to the UK’s laws on cutting greenhouse gases. Under Ms Venkateswaran’s scenario, the UK will be locked into generating gas-fired electricity until well into the 2030s. This would wreck the government’s target of ending gas-fired generation in the early years of that decade. The pressure is on the new Department for Business, Energy and Industrial Strategy to devise policies that will both keep the lights on and bills affordable – as well as carbon emissions down.